So much of your Disney Cruise experience revolves around food. After all, sustenance is somewhat essential to our existence after all, but Disney has figured it out. Eating on a Disney cruise isn’t just about sustenance, it’s about enjoyment. When the cruise ship is your home for up to two weeks at a time you need variety. You need real food that came from the earth. You need rich deep flavors. And sure, you need a few things that are fried. Disney offers rotational dinner dining restaurants, they offer a buffet, but they also offer a plethora of quick service options that are greasy, creamy, and diverse. It’s hard to resist the spinning mesmerizing spit with layers of chicken or lamb, sweating as the fat melts through the meat and the sensuous smells waft through the top deck of the ship. 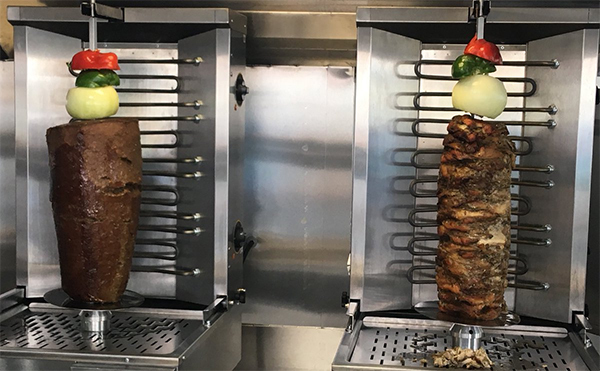 The shawarma station on both the Disney Magic and the Disney Wonder offer both chicken and lamb with over 16 different toppings to complete your snack or meal. Tomatoes, onions, yogurt sauce, spices – it’s all there. This is definitely our favorite quick service option. Sadly, it’s not offered on the Dream or the Fantasy. 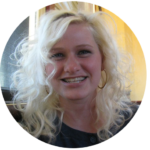 This is your typical fast food fare of hot dogs and bratwurst, hamburgers, fish burgers or veggie burgers and french fries to top it off. It’s about what you’d expect. Technically, the Shawarma station is part of Pete’s but it’s in a class all its own. On the Disney Dream and the Disney Fantasy you’ll find Pete’s Broiler Bites replaced with Flo’s Cafe. The same type of food is offed. 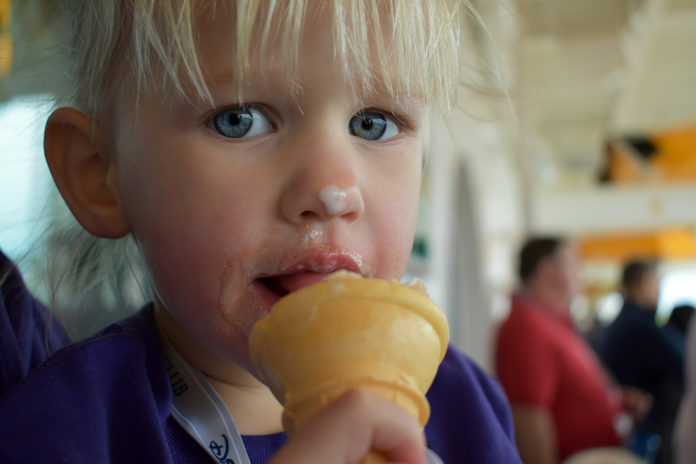 Everyone can treat themselves to a soft serve ice cream cone any hour of the day at Eye Scream. There are two machines to choose from, and flavors that are switched out daily. One machine will always be loaded with vanilla, chocolate and the combo swirl. 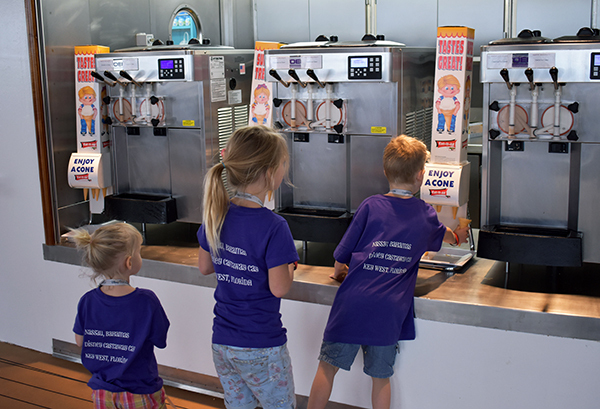 The second machine will switch between blueberry, banana, mango, strawberry and more. We spend a lot of time up here. At these two quick service joints you can get alcoholic drinks or fruit smoothies, but they are not included in your cruise fare. Drinks start around the $5 mark and rumor is you can even get a Dole Whip here. 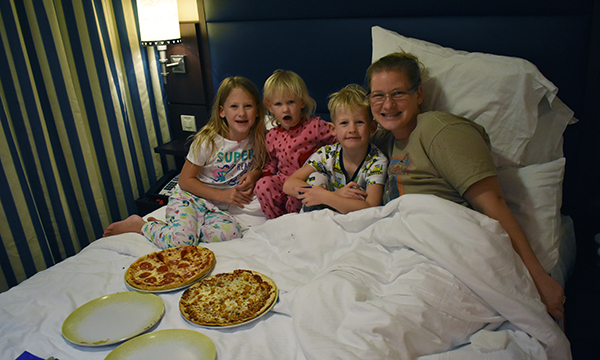 Located directly in line with the Funnel Vision on the cruise, this little pizzeria offers a minimum of four different flavors of pizza throughout the day including cheese, pepperoni, hawaiian, vegetarian and a bbq option. You can order by the slice, or if you are willing to wait 15 minutes they’ll cook you up an entire pizza. This little joint is tucked just outside Cabanas and offers more fresh type fare. You can find all types of sliced fruit, especially melons, and several different types of sandwiches and wraps. There are even a couple different types of cookies here. You can also make up your own salad with several mix and match options to choose from. This section is offered as part of Flo’s Cafe on the Disney Dream and Fantasy. 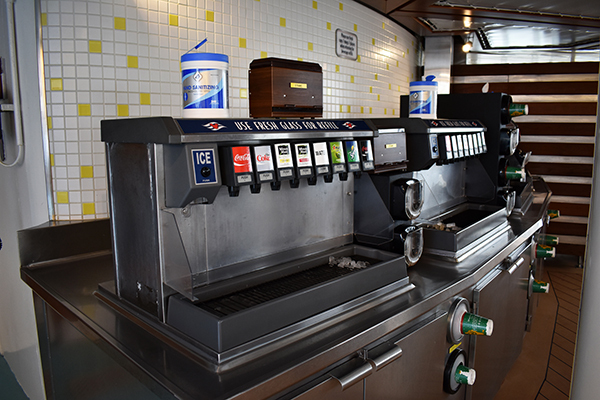 You can’t have all that without a full service soda fountain station that is open 24/7. You can also get several types of juices here, plus hot chocolate and coffee. We like to head up here before our nightly show or prior to catching a movie to fill up on drinks and take them into the theater to avoid paying extra for concessions. Once the adult forums close their doors to all ages for the night, they’ll serve up some tasty snacks like chips and salsa, jalapeno poppers, chicken wings, veggies, mini desserts and more. ► For Kids: No one is going hungry, and no one is going to be complaining about not finding something to eat on a Disney Cruise day or night. Don’t be afraid to let Tiny Tim fill his own ice cream cone at Eye Scream, it’s full throttle and pedal to the metal for all ages. Don’t forget there are still Room Service Options when your stomach is being unreasonable at 2am. ► Nap-Time Version: All the information you need to know about quick service dining options aboard a Disney Cruise ship, with our accompanying opinion of each one. Need to let the food digest? Pop in for a movie, check out a live music show, or review your cruise photos at Shutters.